Use it for temporary seating - indoors or outdoors!. convenient carrying handle - folds flat for easy storage - saves space. Non-skid surface for safety. Holds up to 250 lbs.. Large measures 11.4" W x 8.66" d x 12.6 h" and wide measures 15" W x 8.66" d x 8.66 h". 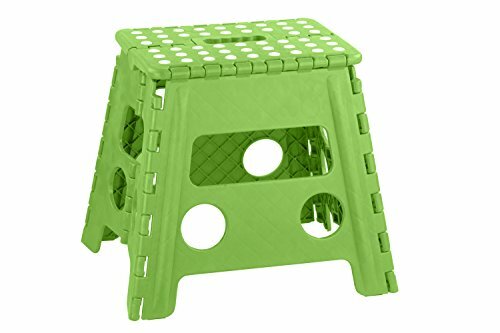 Use it for temporary seating - indoors or outdoors! Large measures 11.4" W x 8.66" D x 12.6 H" and wide measures 15" W x 8.66" D x 8.66 H"